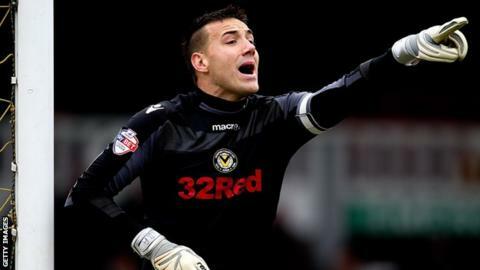 National League side Forest Green Rovers have signed goalkeeper Lenny Pidgeley until the end of the season. The 32-year-old had been playing in the Isthmian Premier Division with Leatherhead following his release by Newport at the end of last season. Pidgeley has made 260 appearances in spells with nine clubs, including Chelsea, Watford and Millwall. Forest Green are currently second in the National League table, one point behind leaders Cheltenham Town. Pidgeley could make his Rovers debut when they host Aldershot on Friday.